If you’ve ever played the helicopter game, this is a little bit like that. But it’s a bird and you have to traverse the lines and avoid getting hit by them. Simple huh? Only I sucked really bad at this game. Well, I didn’t realise the instructions said to tap on the right ride (but having said that, my performance only improved marginally). It’s pretty addictive though, that’s why you’re going to want to keep trying to get your bird across. Apparently if you get them through, you unlock new birds. Each one having its own ability. This game had an update yesterday after it was recorded. The iPhone bestseller finally available for your Windows Phone! 4 million addicted players can’t be wrong! Guide these cute birds through a world full of danger. Unlock new birds as you progress through the game. Each bird has its own special ability from getting invisible or using time warp to a powerful explosion ability. 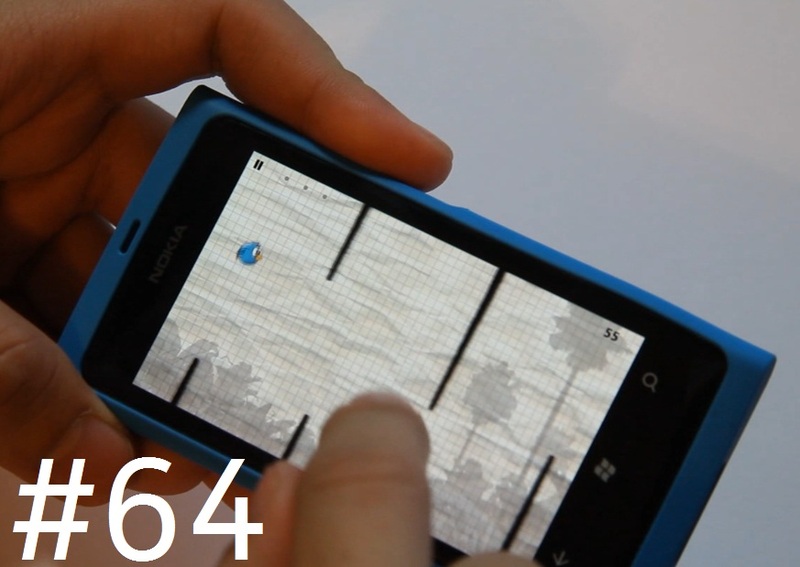 « Woops, Nokia Belle update still planned for February, not next week.